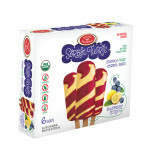 Swirls of organic fruit juices and purees create this delightful creamy combination! 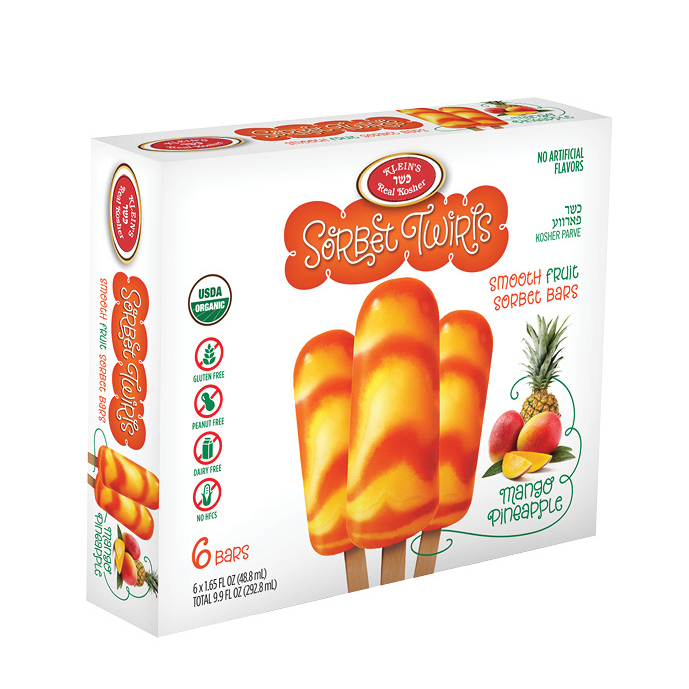 Mango Pineapple Sorbet Twirls are not only delicious, but are also gluten free, peanut free, dairy free, and free from artificial flavors and colors! 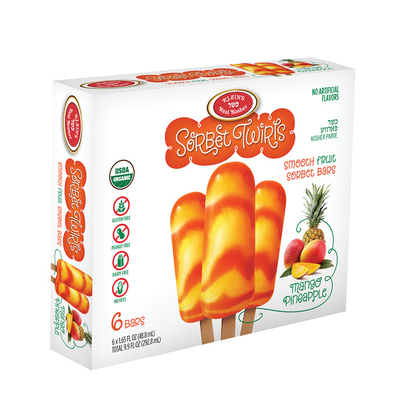 Water, organic sugar, organic mango puree, organic pineapple juice concentrate, fruit & vegetable juice (for color), natural flavors, citric acid, organic guar gum, xanthan gum.